Mambabatok Apo Whang-Od is one of the most recognizable cultural figures to date. Last year she was conferred as a National Living Treasure by the National Commission for Culture and the Arts (NCCA), further bringing focus to the art of traditional Kalinga tattooing. But much about her community in Buscalan, Kalinga Province still remain untold. A new initiative by local street artists, cultural workers, and art practitioners aims to solve this problem. 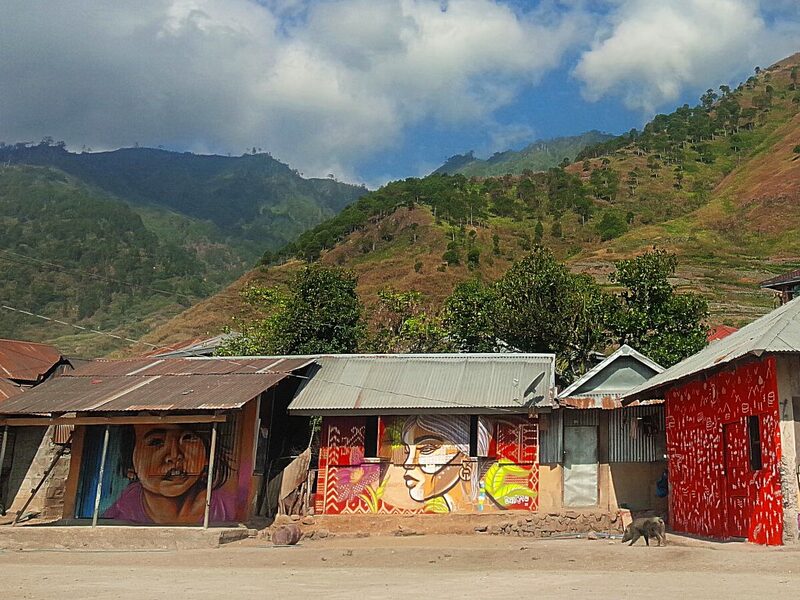 They immersed within the community and painted murals that reflect the Buscalan culture and its place in contemporary times. 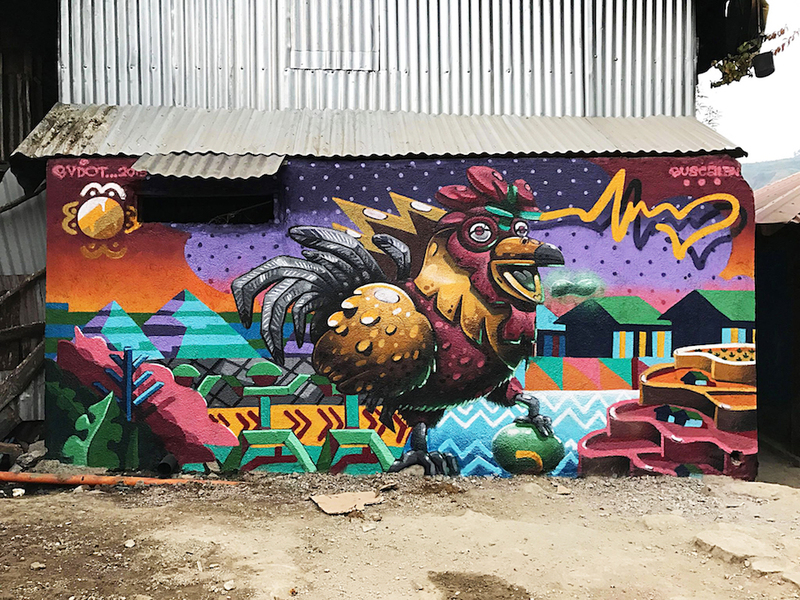 Artists Kris Abrigo, Bvdot, Jenn Ban, Doktor Karayom, Ralph Eya, Ilona Fiddy, Dee Jae Paeste, Kookoo Ramos, and Sim Tolentino went on a four-day mission and created a total of 11 artworks on the walls of the houses, all inspired in part by Apo Whang-Od’s art and culture. 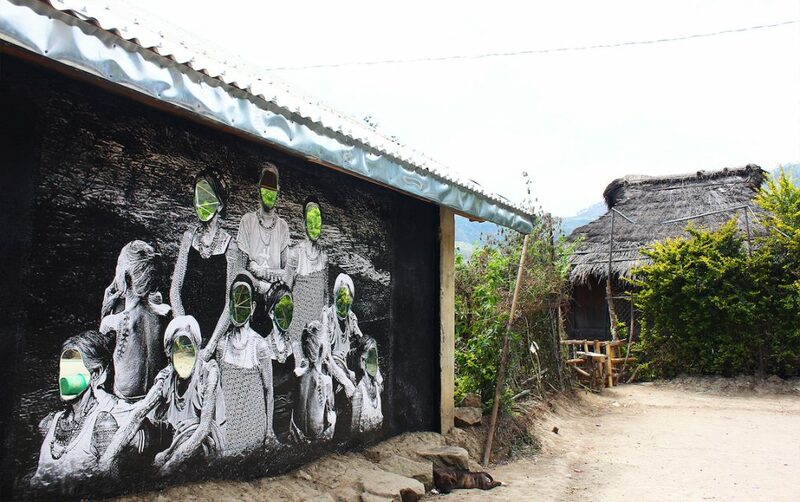 Each art piece tackles a different perspective on the Buscalan village and its people. 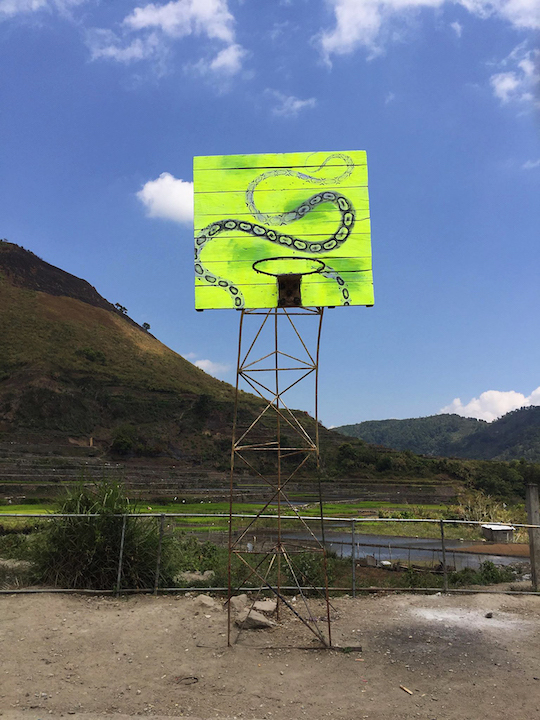 Oclos’ work, for example, explores the fact that despite the remoteness of the place, their culture is still in touch with that of the lowlands, mainly through commerce. 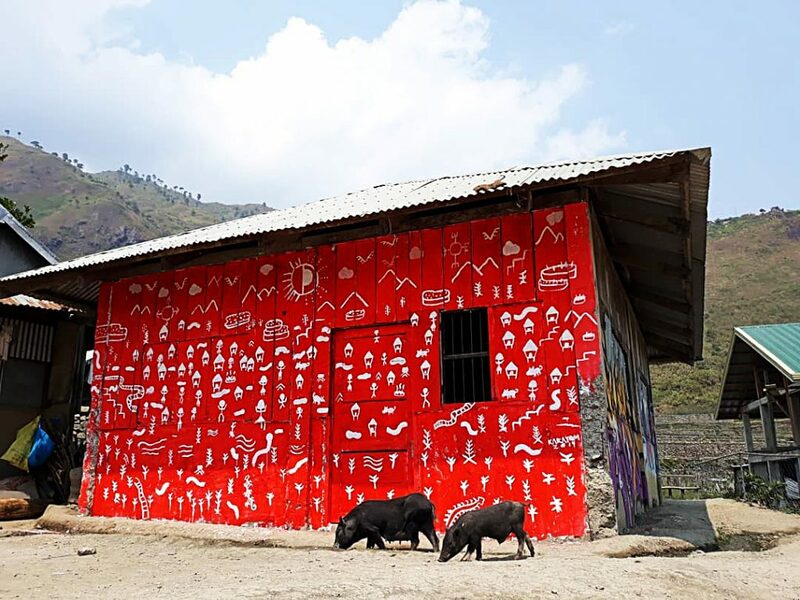 Street artist Doktor Karayom who worked on a red mural with Kalinga etchings, says he was able to acknowledge the importance of knowing our place in a ‘foreign’ place through art. “Just because people live up here in the mountains, doesn’t mean they know less than us city dwellers. I feel that the people here actually know what living means more than us,” he says. 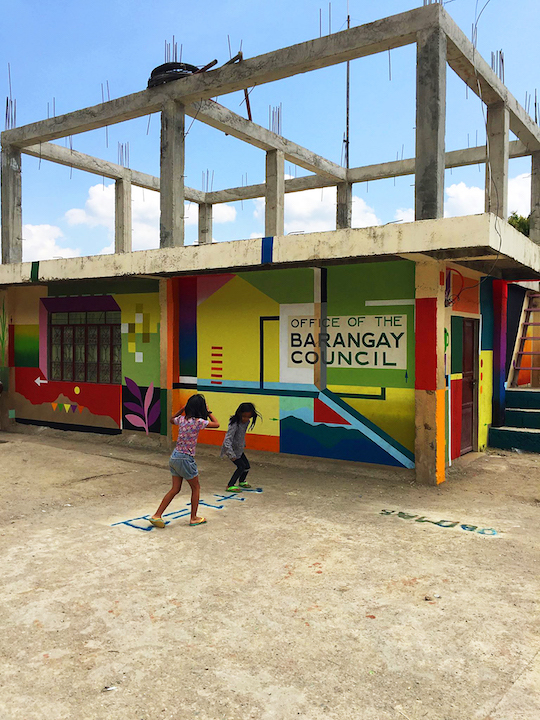 According to the team, their expedition and immersion to Buscalan is only the beginning of what they hope to be a work spanning various communities throughout the country. 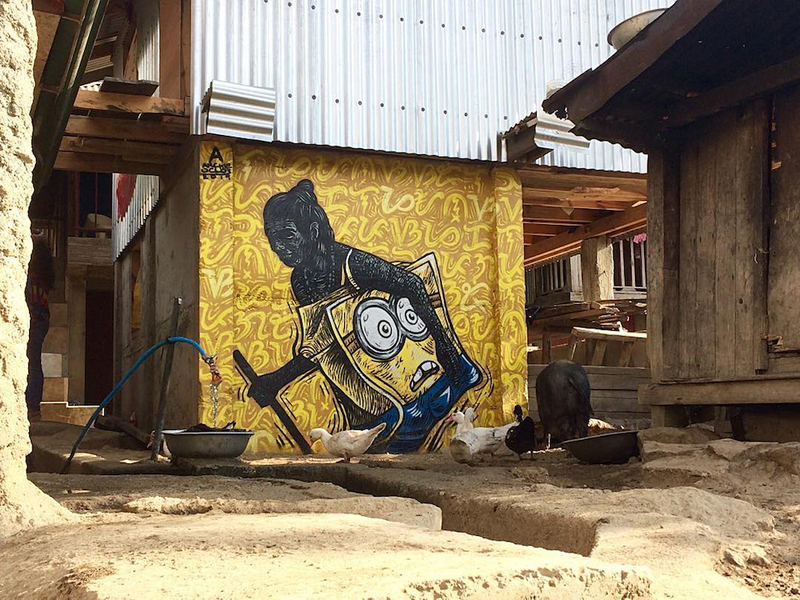 Through art, they hope to understand and spotlight each community’s culture as well as empower locals and artists, alike.